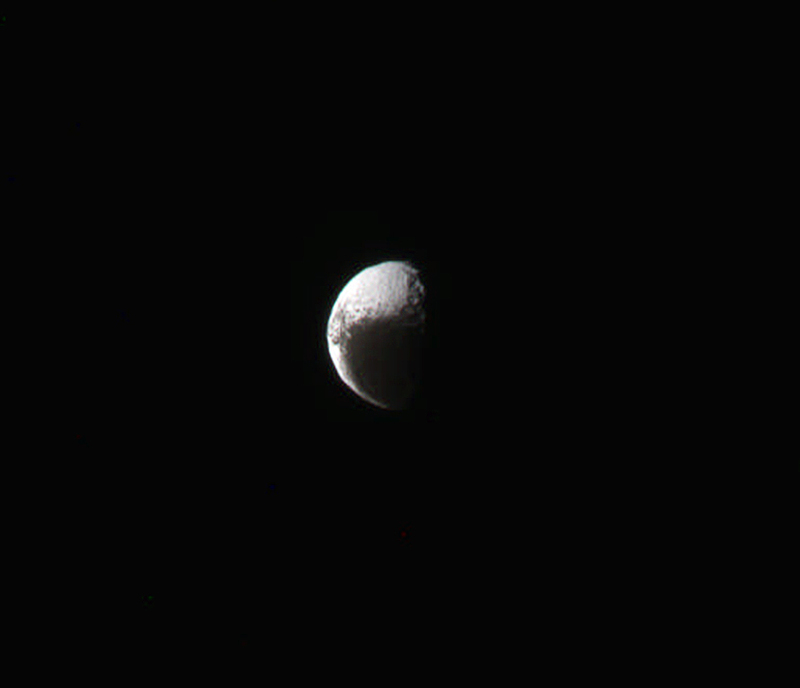 What looks like a single open-quote (or backwards comma) is really Saturn’s two-toned moon Iapetus, seen here in RGB composite color made from raw images acquired by Cassini on Aug. 30 from a distance of about 1.5 million miles. With a leading side stained a dark reddish hue and a trailing side bright white, the 914-mile-wide Iapetus (eye-AH-peh-tus) is — almost literally — the yin-yang of Saturn’s family of moons. The color variation on Iapetus is due to the fine coating of dark material that falls onto its leading hemisphere, possibly sent its way by smaller, distant Phoebe. This dark coating of dust causes that half of Iapetus’ surface to warm up ever-so-slightly-more than the other, making the water ice evaporate and redepositing it on the other side. This in turn just reinforces the whole cycle…a positive feedback loop. Find out more about Iapetus here. Image: NASA/JPL/Space Science Institute. Composite by Jason Major.